Ever since I got engaged to be married, I have been a little less engaged in this blog, particularly in the last few months. Rightfully so, if you ask me. Like I said in my most recent post (which was long ago, I know), sometimes we have to prioritize in life and focus on what matters most at that time without feeling guilty about it. Once all the wedding festivities are over, I will have so much extra free time and space in my brain to put thought and energy towards other things, including my blog! I hope to share lots of new recipes and blog posts as a married woman with a LOT of beautiful, new kitchen stuff. ?? Since I have not had much on my mind besides the wedding lately, I thought some of you might be curious to know what the process has been like for me. Maybe you anticipate getting engaged in the near future, or you have a daughter or friend who will be engaged soon and is looking for some tips on how to go about it, because yes, it can be incredibly overwhelming. Full disclosure: just because I’ve spent the last 17 months of my life doing this does NOT mean that I think I am a professional by any means, but I will tell you what worked best for me in the hopes that it helps you out in some way. When I first got engaged, I didn’t exactly feel prepared to plan a wedding. There are a crazy amount of details that go into that one big day (way more than I realized at the time) and it was difficult to know just where to start. Luckily, we got engaged in Colorado, so I had a 10-hour drive home where I could start brainstorming and let the wedding planning juices flow. (Much to Ethan’s dismay, might I add; when I started asking him to help me with the guest list two hours into the drive he probably regretted popping the question in the first place, LOL). But hey, I’ve always been very on top of things, so he should’ve expected nothing less for the most important and exciting day of our lives. WFTW TIP: I highly recommend starting on the guest list and collecting addresses pretty much right away, because it is one of the hardest things you will do. You have to run it by your parents, your fiance and his parents, and make sure everyone is in agreement about who is on that list. At first, you will want to invite literally anyone and everyone who has ever been in your life, but when it comes down to it, you will have to make some tough decisions, so prepare yourself for that. Like most girls, I had a wedding board on Pinterest where I had started collecting some inspiration, but it was all over the place. I truly had no clear vision of what I wanted, where I wanted it, when I wanted it, or any details like that. (Which, by the way, is totally fine.) However, I had 8 more hours to make a few of those big decisions. ; ) You may think I’m kidding…. but, I’m totally not. First, I searched Pinterest for color palettes that I liked, and I immediately fell in love with a few. After consulting a few of my besties slash future bridesmaids, I decided on this one. JUST KIDDING — you don’t get to see until after the wedding. I know you will all be waiting on the edge of your seat. ; ) In the meantime, here are a few examples so you can see what I’m talking about. It’s nice to have multiple colors that go together so you have more options in other categories (flowers, linens, dresses, etc.) which I will expand on in my post-wedding recap at the end of this month. But I will tell you why I chose the one that I did. I loved it because it was a) beautiful and classy, and b) perfect for September, which is the month I ultimately chose. Why September? Well, it’s usually after the miserably hot part of summer is over, but still before it gets cold (I loathe winter and snow) so it seemed like a perfect happy medium. That also seemed to be a good timeline for us, based on our stages of life at the time. Ethan would disagree, as he wanted it to be much sooner (because he was just dying to marry me– can you blame the guy? ), but in the end, we saved A LOT of money and stress having a long engagement and living separately, and I wouldn’t change it. That might be one of my favorite, but also least favorite, things about this whole process: not living together. I’m not saying there is anything wrong with moving in together beforehand because everyone’s situation is different, but I have always had it in my mind that I would not live with someone before we were married. That’s just the way I was raised, and I wanted to stick to it. But I have to admit, it has been extremely challenging. Obviously we love each other and therefore want to be together all the time, so constantly saying “goodbye” and parting ways, rather than just “goodnight” was super tough. However, I couldn’t be happier that we made the decision to wait, because I am ecstatic to get married and finally live under one roof, 24/7, where the three of us (Ethan, Harley and I) can live happily ever after. Okay, so back to planning. I immediately downloaded The Knot app on my phone after we got engaged, which has honestly been my Bible throughout this process. If you are engaged or think you might be soon, download it NOW. As you can see in the picture above, it also tells you roughly how much each vendor costs, which I thought was really helpful because I didn’t waste my time looking at anything that was way out of my price range. In case you’re not aware, this wedding sh*t gets expensive, you guys. So you really have to take price into consideration and figure out what’s most important when you are making decisions, because chances are you will have to compromise on a few things. Unless you have like a $100,000+ budget, then you’ll probably be just fine. 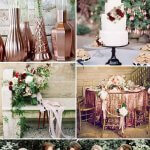 ; ) Most of us have a certain budget that we try to stay close to, which is set by whoever is paying for the wedding. You have to have a budget in mind very early on, as this will guide some of your biggest decisions, especially which venue you will choose. I’ll discuss this several more times throughout this post. Stick with me. In my case, I was lucky enough to have amazing and supportive parents who wanted to help me have the wedding I have always dreamed of. With that being said, I still tried to make responsible financial decisions along the way and save money wherever we could. I also helped pitch in for things here and there that were not “necessities”, such as calligraphy for our wedding invites (#worthit), and keep in mind that you have to buy gifts for your bridal party, honeymoon, etc. throughout the process. So start saving your money. It definitely adds up. I found a great list of questions to ask during venue tours on The Knot — click here to see the article. My mom and I printed this out and brought it along to help us remember to ask all the big, important questions and then some; pricing info, do you have your own caterer, is there a bridal suite, how long do we get to use the space, etc. Bring a pen and notebook (or just use Notes on your phone) to make note of anything significant you want to remember about each specific place, because trust me, they will all start to blend together in your already overflowing brain, so you’ll thank yourself later when trying to differentiate between them. Look at plenty of different spaces, because it allows you to compare what you liked or disliked about certain venues, which will help you when making your final decision. TAKE PICTURES. This helps a lot too. Can you truly envision you and your fiance saying “I do” there? If you’re “iffy” on this at all, move on. 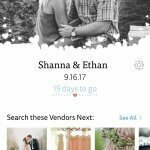 Once your venue and date are finally set, you can plug that in on The Knot and it automatically creates a checklist for you that tells you exactly what you need to accomplish each month leading up to the big day. This was HUGE for me, because I am such a list person (I literally make lists just to check things off that I already accomplished sometimes) and it kept me super organized throughout our engagement. It reminded me to do things that I probably would’ve forgotten about otherwise. For example, at first I had no idea you had to wait until 30 days before the wedding to get your marriage license, AND you have to get your marriage license in the same state in which you are getting married. This might seem obvious, but for people like Ethan and I who live in Kansas, but are getting married in Kansas City, MO (which is very close by), we probably wouldn’t have thought of that had our officiant not informed us. 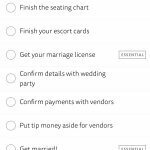 The checklist also reminded me of other important steps, like when to book my hair and makeup trial; when to register for gifts; when to book the honeymoon; when to shop for rehearsal dinner venues, etc. See below. As I mentioned, there are a ton of options when it comes to venues and a lot of important pieces to consider. One thing that became very apparent to me when we were touring venues was the fact that some had “everything included”, while others had “nothing included” other than the space. Some of the included items may seem obvious, like tables and chairs, but they are not. Some venues include nothing but the space, and the rest is up to you. They will obviously seem much cheaper up front, which can be tempting, but you really have to sit down and consider the cost of hiring your own caterer, purchasing your own alcohol and hiring bartenders, ordering rentals, tableware, linens, making your own decorations and setting it all up yourself or hiring someone else to do it, clean-up, etc. I’m not saying that either one is the “right” choice; just be aware that these two are very different options, and again, budget will likely be your determining factor. However, for the DIY-type venues, you will still spend much more than the base venue price after you factor all of those pieces in, so sit down and really crunch some numbers and do your research on caterers, alcohol, rentals, etc., before making a decision. I personally chose a venue that has everything included and I am incredibly thankful that I did. There is already so much that goes into planning a wedding, and I can’t imagine having had all of those extra “to-do’s” during the process. 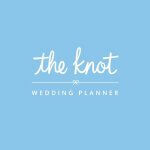 Again, whether or not you need a wedding planner truly depends on your personality, your venue, and your budget. As I mentioned, I am Type A; I like lists, spreadsheets, and deadlines. Not to toot my own horn, but I was pretty darn good at this wedding planning stuff. If that doesn’t sound like you and you’re terrified by the thought of managing it all, you might be a good candidate for a wedding planner. Please know that that is nothing to be ashamed of. Most people do use them these days. I personally felt that this was something we could save a little money on since I am pretty organized myself. I also want to mention that our venue has an Event Coordinator and a Manager who will be helping us out a lot on our wedding day, and have been incredibly helpful by answering my countless emails throughout the last 18 months. God Bless them. They informed me right off the bat that I did not need to hire a wedding planner, as she would most likely end up standing in the corner twiddling her thumbs on our wedding day because their staff knows exactly what to do and when to do it. They are also calling all of my vendors for me to coordinate drop-off / pick-up times for the day of so I don’t have to, which will save me so much time, energy and stress in those “final stretch” days. Not all venues do this. That’s why it’s so important to ask questions like this when you’re touring venues, because it can help you determine whether or not you need a planner throughout the whole planning process, a “day of” coordinator, or none at all. In case you’re not aware, planners are pretty expensive, so this is an important piece to think about, but they can also make an enormous difference if you’re not able to be on top of things yourself due to work or other obligations, or just your personality. Our final planning meeting at the venue! My parents, my future in-laws, Ethan and I and the venue manager discussing last-minute details, making it all SO FREAKING REAL. !!!! I have already mentioned that The Knot was a super helpful resource for me, but some of my most helpful resources have been my friends (okay, and Pinterest). Don’t be afraid to reach out to close and even not-so-close friends or acquaintances who have recently gotten married and ask them questions about anything and everything. Especially if you saw pictures of their day and noticed something that you loved! 1) They will be totally flattered, and 2) they will love reliving that time of their lives and telling you what they did and why. Most importantly, you will probably learn some great do’s and don’ts from their stories! I have a lot of friends who have been through this in the past year or two, so it was awesome to gather tips and advice from multiple perspectives. Even though there are countless reviews for vendors on The Knot, your friends are the ones whose judgement you trust the most, so don’t be afraid to ask their honest opinion if you’re interested in using the same photographer, caterer, DJ, etc. After our big day, I’m going to do a wedding day recap post, where I’ll obviously share a million and one photos, but I also plan to share information about all of our vendors with you, along with honest reviews and any other info that you might find helpful if you or someone close to you is planning a wedding in the Kansas City area in the near future!